I was skeptic after last week, but it turned out fine. Not a bad episode at all. Shibuya's mom started the shop because he likes her ramen, not because her first date was in a ramen shop, I think that was pretty sweet. Shibuya just suddenly got so much depth as a character. Narita needs a similar arc or he'll just be a cardboard in the background. So Specter got his final-final form? It's barely visible in here though. And backstory, lots of it. The luminary Eyecons are specially chosen and created, not something that simply born out of desires. There are only 15 of them. But Takeru's Dad could already summon ghosts without additional help?! The belt that Saionji took, did that became Specter's belt or will that still be something else? Takeru's dad planned on his son being the one to protect them from the Ganma, hence sending the eyecon to Takeru on his birthday. But to use it, he had to become Kamen Rider Ghost which meant he had to die. Did Takeru's dad and Sennin plan on killing Takeru and so his death wasn't an accident but maybe they sent that particular Ganma that day to kill him? Saionji's belt prototype became the bag-thing he had for making Eyecons. Did we not have that method of introducing the ultimate form last year already? At least there was a gap between Fourze and Drive. Yaiba wrote: The belt that Saionji took, did that became Specter's belt or will that still be something else? I think is the one that he was using to create his own eyecons, you can see it in episode 7 when he used it to get Billy the Kid. Speaking of, when we are going to get the talk with the other luminaries, because Takeru was supposed to connect with the luminaries but at this point he doesn't even remember that. Now, and I don't think this counts as spoiler, we are in the final form episodes and the "talking part" seems won't affect it, so why he has to do it? Will he get a super final form like Specter's? Also, Gekikou Specter: Deep Specter with CGI wings. His moment was so briefly that the driver didn't finish his rap: "Genkai Dai Kaigan: Gekikou SPECTER! Dead Go, Gekido, Giri-giri Ghost, Tousou, Bousou, Ikari no SOUL!" according to KR wiki. Zychotic wrote: Crazy conspiracy time. That is rather dark. However, I think the Blank Eyecon ended up being Boost. Since that was given to Takeru directly from his dad after all. Among other questions, where the heck is Saionji these days? We haven't seen him in the present time in nearly 20 episodes. ViRGE wrote: Among other questions, where the heck is Saionji these days? We haven't seen him in the present time in nearly 20 episodes. Uhhh, did you miss tje part where he died horribly? Oh. I thought that was him getting sucked into the Ganma world. ViRGE wrote: Oh. I thought that was him getting sucked into the Ganma world. There's a part where Sennin says or somebody says that you can't go into the Ganma world without a belt, hence why none of the other characters have gone there except Takeru and Makoto. Also Saionji got his flowers after that episode so yeah, he's finished filming. idk if this is new footage or stuff they shot months ago, but I'd be willing to bet on the latter. And Saionji definitely got sucked somewhere, or his remains did. But if he got flowered, then the character is probably gone. By the way, you might want to put up a front page post. Ooooh, good point about Kanon. Maybe that's why she became an Eyecon? We still don't have a good explanation for that. Lunagel wrote: Ooooh, good point about Kanon. Maybe that's why she became an Eyecon? We still don't have a good explanation for that. Only an Eyecon. 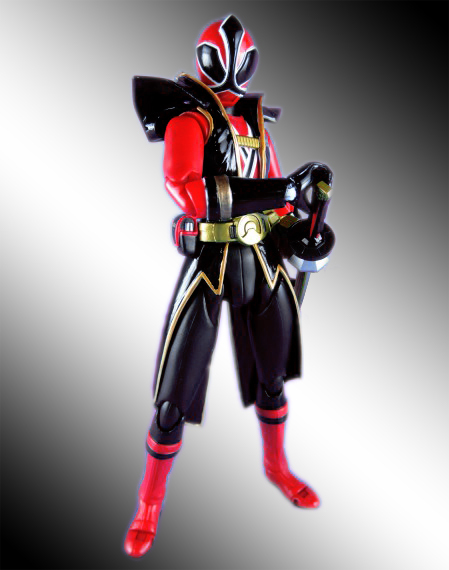 Makoto was an eyecon as well, and he had a body. But he only gained his driver after being stuck in Ganma World. Takeru's Ore Ghost Eyecone was mailed to him by his Dad in the first episode. We know almost nothing about her, but we all know that the explanation won't be something she stops the world for unless it can be explained using a combination of "oniichan" or "Alain-sama". After last week's episode I could figure out which was was up with all the stuff going on, thankfully this toned all that down a bit. There are still a lot of open plot lines they can run with (Where is Alia? Is Adel actually doing anything productive? Who is Sennin's twin? What's the deal with Makoto and Kanon? Just how many scenes did they film of Seiji Takaiwa walking across a field saying "I'll kill you" or a variant of that? ), so it should be a packed run to the end of the series which should be fun to watch it all play out. I realize it's for younger audiences, but I had to knock one star off for the scene where Takeru is swinging his arm through his father. Normally it's annoying enough that they'll pause an important conversation for a character to stare blankly at the camera while some moron in the back swings all four limbs through the character. It's almost worse this time though, since Takeru cannot seem to grasp two things: 1) His father is dead, and 2) so is he. This fool disappeared constantly in the first part of the series, as well as phase through whatever got in his way, but phase through your dead father while he's standing across the table from Saionji (Who's also dead!!!)? Nope. Can't deal.